Within one week…by September 1…Pres. Obama will announce the members of the Financial Control Board. The most alarming candidate for this Board is the recumbent ex-governor of New York, George Pataki. I know a great deal about Pataki’s politics, because I was a New York State Assemblyman during his first two terms as governor. I saw how he operates. He will rule over Puerto Rico like an intemperate king. Created by New York in 1894 for dealing with war, plague, catastrophe, and other emergencies, the governor’s “Message of Necessity” is currently used to ram bills through the New York state legislature – particularly those that require public funds. When the governor of New York attaches a so-called “message” to one of his bills, the constitutional 72-hour reading period is suspended. Legislators have only one or two hours to vote for the bill – with no amendment, no debate, and worst of all, no time to read it. Pataki turned this emergency privilege into an imperial fiat. According to NYPIRG, Gov. Andrew Cuomo issued 38 “messages” from 2011 till April 2014. Gov. Paterson issued 57 messages in 2010. By contrast, in 1996 alone, Pataki issued 144 messages. Year after year, Pataki would wait until the last week of the legislative session. Then he’d send dozens of bills…some longer than 200 pages, most with “messages” attached, and all with appropriations buried deep inside the bill. Only the lobbyists knew about these funding appropriations – because the lobbyists had structured the bills, and the legislators had no time to read them. During the Pataki years, 27 percent of all New York State law was shoved through the legislature under cover of these “messages.” A bill requiring $500,000 for after-school programs in Brooklyn, might contain a $5 million rider for a shrimp farm in Buffalo – in an obscure subsection, on page 247 of the bill. With no public input or legislative review, the lobbyists turned these “messages” into a free lunch, with taxpayers paying the price. If you’ve ever wondered why New York State was declared the “most dysfunctional state legislature” in the entire US in 2004, 2006, and 2008, Pataki and his “message” will explain it for you. For 12 years, Pataki used his “message” to facilitate $22 billion in hidden back-door borrowing. Over 12 years, Pataki increased the general fund spending of New York by a whopping 67 percent. For 12 years, Pataki allowed lobbyists to march through his office, write their own laws, and stick the taxpayers of New York with tens of billions in high-interest municipal bond debt. This is exactly the fiscal practice that exploded the public debt of Puerto Rico…and now Pataki is going to chair the Financial Control Board? As governor, Pataki cut $500 million for school construction and $72 million for teacher salaries. He cut $183 million from the SUNY budget, $82 million from CUNY, and tried to postpone the state’s Tuition Assistance Program. He cut another $13.5 million in school textbook funds. Altogether, these education cuts totaled over $850 million. From 1988 to 1998, during Pataki’s tenure as assemblyman, state senator, and governor, the tuition for CUNY students nearly tripled, with Pataki supporting every single tuition hike. During those same ten years, the operating budget for the SUNY system was cut by 29%…again with Pataki’s approval. In New York City, the funding cuts were so severe that parents sued the State of New York to stop the State from cheating NYC children of over $4 billion per year, every year, in public school spending. The parents won the federal lawsuit – but Gov. Pataki simply ignored the court, and the court’s order. This was Pataki’s education legacy: by the time he finally left office, 50% of NYC public schoolchildren were no longer graduating from high school, and 22% of all New Yorkers lacked basic prose literacy skills…in other words, they could barely read. While closing schools and laying off teachers, Pataki found enormous amounts of money for more jails in New York. In his first four years as governor, from 1995 to 1999, Pataki increased state prison spending by $287 million. In just ten years (1997-2007) jail beds increased by 6,000. His 1997 state budget included the construction of three maximum security prisons. His 2000 budget contained another maximum security prison with 1,500 jail beds, at a construction cost of $180 million. The construction costs were only the first layer of expense. In 2012, the Vera Institute reported that each NY state prison inmate was costing $60,000 per year. 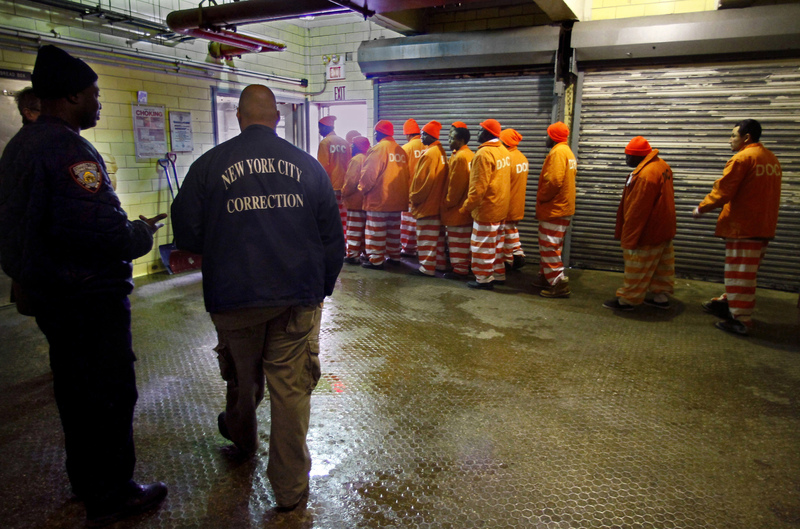 In 2013, the Independent Budget Office of NYC reported that each city prison inmate was costing $167,731! All totaled, Gov. Pataki committed $2 billion to building new prisons…and every new prison was built in an upstate GOP district. Thanks to Pataki, almost half of New York’s prisons are now in the state senate districts of four upstate Republicans. The prisoners in just two of those districts (Districts 54, 59) account for 23% of the entire prison population of New York. The prisons became an “economic development project” for each of those districts, with majority white populations profiting from prisons that were 83% black and Latino. Built in decaying old towns – all floundering in the wake of agricultural and industrial collapse – the prisons graced each town with employment, no-bid contracts and political patronage. As an added federal bonus, all the prison inmates were counted by the US Census as “residents” of the county where the prisons are located. The Pataki prison system was characterized as an “underground railroad in reverse” in John Flateau’s The Prison Industrial Complex: Race, Crime and Justice in New York. On a final note: Gov. Pataki bullied the state legislature into re-instating the death penalty, but it was later struck down by the New York Court of Appeals. Just like ex-governor Luis Fortuño in the D.C. law firm of Steptoe & Johnson, ex-governor Pataki is comfortably ensconced in the law firm of Chadbourne & Parke. For decades, Chadbourne & Parke was the general counsel for United Brands. As of 1970, it was the “new” corporate name for the United Fruit Company. Two years later, in 1977, Chadbourne & Parke was still representing them. In 1984, United Brands became Chiquita Brands International…another new name, with the same old business model. In March 2007, Chiquita Brands pleaded guilty to aiding and abetting a terrorist organization, when it admitted to the payment of more than $1.7 million to the United Self-Defense Forces of Colombia, a group on the US list of terrorist organizations. 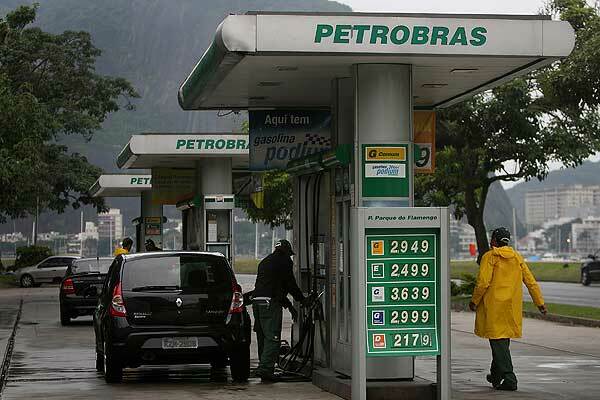 They negotiated recent deals with Petrobras Brazil and Petrobras Chile. Their “Latin America experience” shows corporate and securities transactions totaling more than $50 billion over the past ten years. Clearly, Chadbourne is bullish on “developing markets” throughout Latin America. When the economic hit men move in, Chadbourne wants to be right behind them…negotiating the bond deals, schmoozing the bureaucrats, filing the SEC documents, grabbing the legal fees. As chairman of the Financial Control Board, George Pataki will be perfectly positioned to steer millions in legal fees to Chadbourne & Parke…with a fat commission for Pataki. Pataki could also inform the Chadbourne corporate client base, of sweet deals in Puerto Rico. For political cover, Pataki and Fortuño could swap deals between their two law firms, and build a mutual veneer of “non-involvement” in business matters before the Control Board. Despite being mayor of Peekskill for 3 years, a state legislator for 10, and governor of New York for 12, Pataki never mastered the use of a Teleprompter. His oratory was oafish. His State of the State speeches were best appreciated after two or three drinks…and in Albany, they often were. Not much of a reader, not much of a numbers man, he bumbled through 25 years of state government with an “aw shucks” smile and an ignorance of legislative and budgetary detail, that endeared him to every lobbyist in Albany. In the 2012 presidential cycle, he bored the voters in Iowa so badly (a difficult thing to do), that he quit the race a year before the actual primaries, in 2011. In the 2016 presidential race, he was immediately relegated to the second-tier debates…then barred from the debates entirely, because his national poll numbers were less than one percent. And now this amiable has-been, is being floated as the potential emperor of Puerto Rico. After 118 years of solitude, Puerto Rico may soon suffer the indignity of Moncho Reyes all over again. Except this one will have sweeping financial, legislative and prosecutorial powers that the original Moncho could only dream of. This combination of concentrated power and personal incompetence, may lead to disaster. Pataki left New York State in the exact same fiscal shambles, that is now gripping Puerto Rico. He doesn’t have a clue about Borinquen. 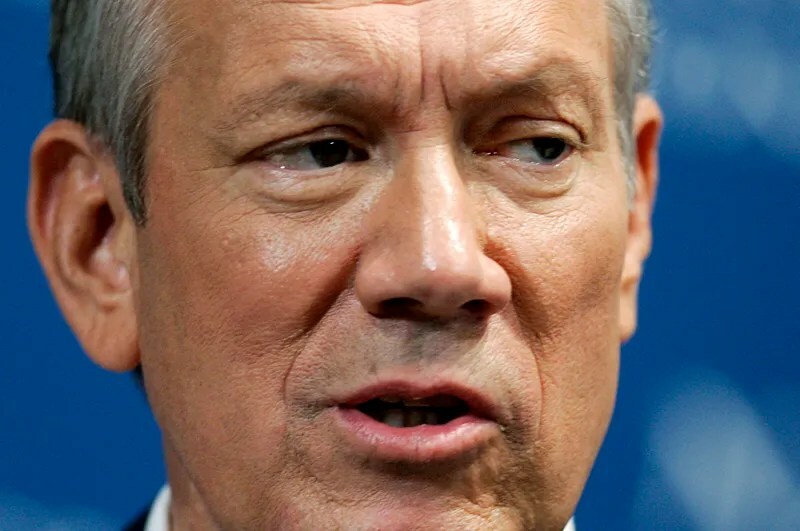 Like a bull in a china shop, or an untethered elephant, Pataki will mindlessly trample the entire Puerto Rican economy, excreting “public-private partnerships” that will drain the island’s lifeblood. He will then be hailed by the US corporate media, for “reforming” the insular economy. 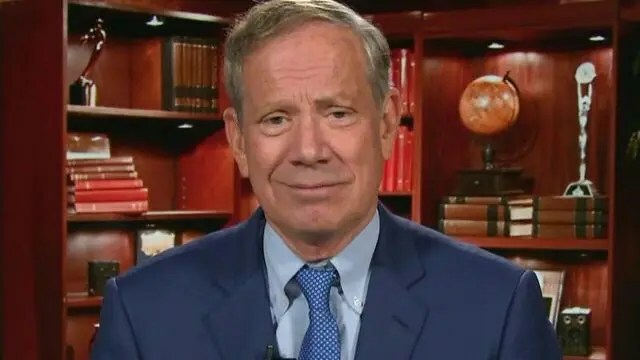 George Pataki is a shining embodiment of Hannah Arendt’s banality of evil: an easygoing hack who will allow lobbyists and hedge funds to walk all over him, so long as they retain Chadbourne & Parke while doing it. He is the perfect neo-liberal foil…whose brand of ceaseless blunder, though masked by pomp and circumstance, poses a severe threat to everyone in Puerto Rico. Well, maybe not everyone. Just the bottom 99%. Pataki is just another scumbag from the Hudson River. Look in that river and you will know why. Gov George Pataki …. “Within one week … by September 1 …Pres. Obama will announce the members of the Financial Control Board. The most alarming candidate for this Board is the ex-governor of New York, George Pataki.” Bumpy ride ahead …. SMH!! One of the few times I can say that to you. More good commentary and not faux-journ-izm clap-trap. And don’t expect too much from Barry in the the White House. He’s on “sliding-to-home-base” mode for the rest of his 2nd term and focused on Freshman Fall Orientation at Harvard while fretting feverishly over what Lands End, J. Crew and Orvis catalog outfits to wear at the Hovering-Parents Ice-Breakers in Harvard Yard in a couple of days. And then there is of course his lega$$y conundrum of getting back on that pastel-colored golf-cart in Martha’s Vineyard with his coterie of magic-negroes…Oprah, Eric, Beyonce, Kanye and of course Tiger and his latest gold-digging witless, double-digit IQ blonde waitress. So be advised that Barry will not be taking much more interest in Puerto Rico’s fiscal or status affairs than he has in the last 8 years….ZERO! Remember, to him, we are just more of those “generic-one-size-fits-nadie” illegal “La Tinos” that he loves to bring to the Rose Garden to “dream” and serve Taco Bell to and to instruct us in more broom-jumping workshops with Michelle.